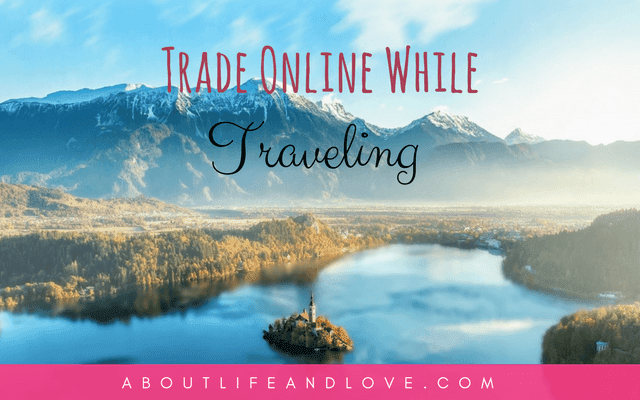 If you happen to travel globally and you have some time to spare, then you can use this time to trade. With a good phone that has access to the Internet, it is becoming easier every day for travelers like you to explore the world while doing some online trading. Successful Online trading, however, will vary with your skills and effort you put in acquiring the knowledge on how to trade in online markets. You may have heard of financial markets and trading, but you have no clue of how to take the first step to trading for yourself. First, you have to have immense knowledge about this field of online trading, and the easiest method to achieve this is through consultation with trading experts. Knowledge gives you power, but not so many people have the energy or ability to learn new subjects however much their new found knowledge may contribute in a huge way to their monetary benefits in years to come. If you need a part-time activity while you travel, then trading in financial markets can be a good thing to try. CMC Markets, for instance, offers online trading and investments platforms that provide benefits of buying/selling individual stocks and investing in online bonds known as mutual-bonds. However, if you so much wish to learn about online trading then continue reading but then don't forget you still need to have known some things about the finance industry, and most importantly you have to learn about precise trading expertise so as to control your risk. An accurate knowledge of core and specialized analysis of the financial markets give you an opportunity to create an organized trading plan for yourself, with a clear awareness of the trading psychology that will make you a successful trader. However, the easiest way to acquire knowledge is through advice and feedback from experts monitoring your trading performance. Trading in individual stocks either as a full-service broker or as a discount broker has many advantages as compared to investing in mutual funds. Individual stocks offer independence and the proficiency to determine how to vary and allow option strategies to shield your portfolio or increase overall returns. So as to build a strong portfolio, you need to do your research and hand-pick the stocks that relate to your investment objectives. By doing this, you are also able to reduce management fees and also expense ratios that ever present with the mutual fund industry. Spreading risk forms the basis for all successful investments. Acquiring a portfolio with 8 or more stocks enables one to maximize on the diversification while focusing on better stock movements. By purchasing stocks on an individual basis, the investor has the option of speculating the best time to sell a stock owned, to reduce risk or raise returns. With individual stocks, it becomes possible to adjust your portfolio accordingly. You can gradually purchase assets over a given period to minimize risk as rather than buying lump sums in the case of mutual funds. Wise investors can also gain passively through dividends from purchasing stocks in telecommunication companies, which tend to offer better returns while capitalizing on capital gains. Despite the freedom that comes with private trading wise traders should learn how not to over trade. Over trading can lead to a much formidable risk to a portfolio as compared to an unskillful stock selection. Undisciplined traders tend to ruin their portfolios by raising their costs, lowering their tax gains and failing to recognize the natural trend of the equity markets which consequently keeps their portfolio spiraling in the opposite direction and subjecting the traders to losses. For the big merchants, the bid-ask spread; should be narrow when trading for you are to remain profitable. Traders who purchase stocks to a significant volume are subject to more taxes than investors who buy their stocks and refrain from selling them for a period. For those seeking higher returns, they should consider slowing down the turnover, spending additional time doing research and developing wise strategies to boost their portfolio. Lastly, you can opt for a simpler approach which involves selling someone the right to purchase your stock in the future conceivably. This method allows a raise in the general return of the current portfolio while reducing the yield significantly in bad markets. Great infor. Gonna check its depth now. Bem interessante esse post sobre negociações! This is an interesting idea! I had never heard of it before, but it sounds like it works well for some.